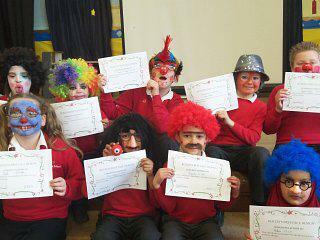 Last week we experienced a fantastic Red Nose Day. Raising just over £600 by: making our face funny for money, a successful cake sale and selling red noses. At the cake sale we raised nearly £200! Thank you for all the support for this year's Red Nose Day all the money has gone to a wonderful cause. Let’s hope we have an even better and bigger total for next time. Thank you for your continued support.